One of the things that Kik Messenger users worry about is saving their messages. So, one of the most common questions they ask is how to log out of Kik messenger without deleting your messages? The Kik Messenger app is a hugely popular instant messaging app that is available for free on iPhone (iOS), Android phones, and Windows phones. 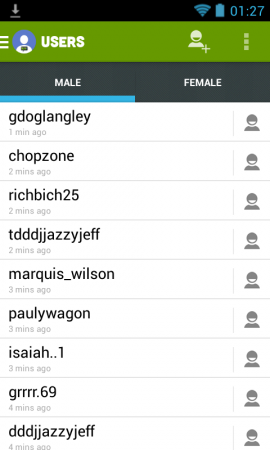 This app is widely popular in the United States and Europe, particularly among teenagers. Anyone who uses Kik Messenger knows how great it is. The only downside to it is that every time you log out you lose all your messages as they get automatically deleted. But not only that, Kik Messenger will automatically delete all the text messages that you have sent out or received from your smartphone but also every file that has been shared (audio, video, picture). This is why many Kik Messenger users try to never log out in order to preserve their messages. Luckily, there is a way to ensure that your messages are not deleted even if you decide to log out. If you want to find out how to do this, you should read on for in this tutorial I will explain exactly what you need to do. How Do You Log Out Kik Messenger? In this part of the tutorial, I will give you a step-by-step guide on how to log out from the Kik Messenger app without deleting your message. The first thing that you need to do before you log out from Kik Messenger is saving any messages and files that you would like to keep. You might need to ensure that you have enough space left on your smartphone. But, providing you do, saving messages and other files from the Kik Messenger app couldn’t be easy. But there are actually two ways of doing this. One easy method would be pressing down on the message that you would like to save so as to copy it, and then paste it somewhere else on your smartphone. Alternatively, you could take a screenshot of the message (or picture) that you would like to save. Taking screenshots differs according to what model of smartphone you use. But this is usually done by pressing a combination of buttons, normally the volume and the power button. Once you have taken a screenshot of the message this will be saved as a picture file on your phone. If you then want to access this file, all you’d need to do is to head over to the gallery (or wherever else pictures are saved to in your smart device). Make sure that you this with each and every message or file that you would like to file. Although it may be time-consuming, it is always a good idea to go through your saved files just to double check that the files have been saved as you intended. If that is the case, then you can log out of Kik Messenger, safe in the knowledge that your messages have been saved. When you then log out, you will lose all the messages that you have not saved. However, you will not lose any of your contacts. So, next time you log back in, you should find that all your Kik friends are still there. If you would like to go ahead with logging out, then read on. Tap the “setting” button (the gear) icon. Once you are in your settings, tap on “Your Account”. This action will take you to your account details. Tap on “Reset Kik”. If you cannot find it, you may need to scroll down. You will then be prompted to confirm whether you would like to reset the Kik Messenger app. If you are sure that you would like to proceed with this, then tap on “Yes”. Once you have logged out of Kik Messenger, you will be able to log back in from a different device if you should wish. No matter what device you log back in from, you will have access to your Kik friends’ list. But, you will not be able to see your old messages. If, however, you would like to deactivate your Kik Messenger account, then you will need to visit Kik’s website. Your account can be activated again at any time in the future. And, once again, even if you have deactivated your account if you choose to eventually activate it again, you will have access to your Kik friends. But, of course, you will not be able to see any of the old messages other than the ones you have saved to your device. 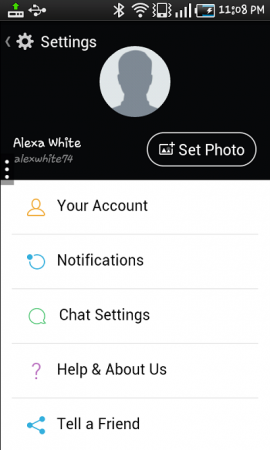 What Do You Need To Deactivate Your Kik Messenger Account? The only thing you really need in order to deactivate your Kik account (and, for that matter, activate it again eventually if you so choose to do) is the email address that you used when you initially set up your accounts. You will not only need to remember what email address you used when you originally set up Kik Messenger but also access to this email address. That is because you will be asked to enter your email address and then you will need to check your email for the automated message that you will need in order to complete the deactivation process. So, once you have entered your email address you will need to head over to your mailbox, locate the message from Kik Interactive and follow the instructions contained therein. If you are unable to locate the message from Kik Interactive, then make sure that you also go through your spam folder as your email provider might have moved it there. And that is really all you need to do. Once you have deactivated your account you will only have access to those files that you had previously saved to your smartphone. So, this has been How to log out of Kik Messenger Without Deleting Your Messages. If you have any feedback on this tutorial, please leave us a message in the comments section below.